Andhra food is known for its use of chillies and spices. 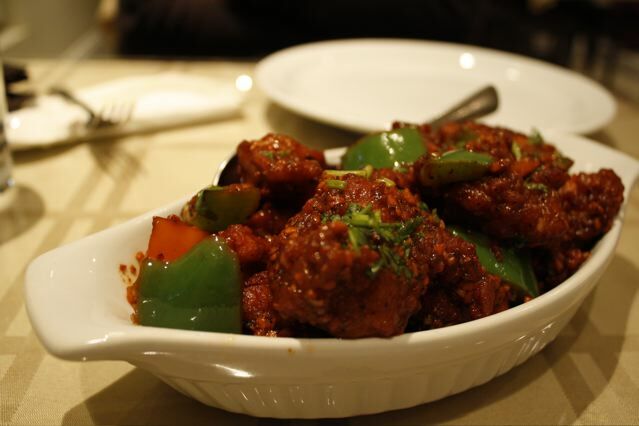 In this recipe, boneless chicken is marinated in a red chilli paste and shallow-fried. 2. Fry the cinnamon, cardamom, cumin and cloves for 30 to 45 seconds. 3. Remove and keep aisde. 4. Soak the red chillies in little water and drain well. 5. Combine this with the cardamom, cinnamon, cumin and cloves. 6. Add a little water and grind to a smooth paste. 7. Add the chicken pieces to a bowl and add the red chilli paste. 8. Mix well until all pieces are evenly coated. 9. Cover and keep it in the fridge for 60 to 90 minutes. 10. Heat the remaining oil in a pan over medium flame. 11. Add the green chillies, curry leaves, onions, coriander powder and salt. 12. Stir-fry for a minute. 13. Add the marinated chicken pieces and cook for 5 to 10 minutes or until cooked. 14. Remove and garnish with coriander leaves. 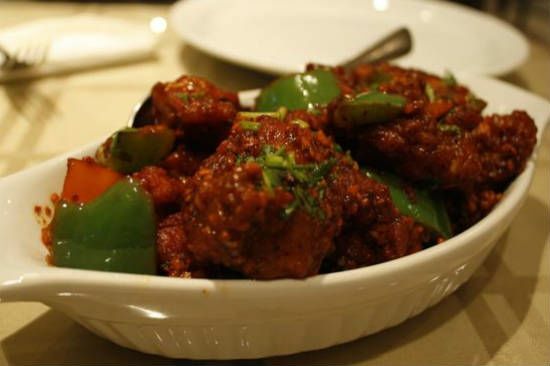 Feel free to comment or share your thoughts on this Andhra Chilli Chicken Recipe from Awesome Cuisine.